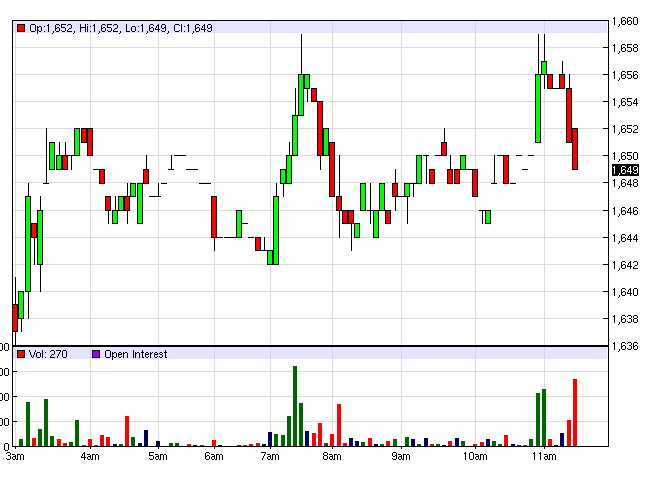 On the ICE Futures Europe floor, Robusta coffee price continues to rise. September futures for immediate delivery rose by 14 dollars, or up 0.85%, to $ 1,653 / ton, delivery period in November increased by 13 dollars, equivalent to 0.78%, up to $ 1,671 / ton and period 1/2016 deadlines months increased 12 USD, equivalent to 0.72%, up to $ 1,687 / ton, relatively slight gains. Narrow fluctuation band. Trading volume remained inadequate. On the ICE Futures US floor, Arabica coffee prices also continued to rise. September futures for immediate delivery added 1 cent, or 0.8%, to 125.9 cents / lb, term delivery added 0.95 cents in December, which rose 0.74% to 129 cents / lb and futures for April delivery added 0.95 cents 3/2016 also represented an increase of 0.72%, up 132.4 cents / lb, the relatively mild increase. Trading volume remained above average. Reais continued weakness is motivating Brazilian sharply in the previous session sell. But it could not stop the resistance rates in producing countries, including Brazil, makes coffee prices will recover in the short term. Many analysts believe that your assessment of President PROCAFE Brasil yield new crop harvest is likely lower than forecast drop in the CNC in May is not satisfactory, but less well supported the market for the last session. However PROCAFE emphasized more precise figures will be known after the completion of harvest in the coming September. Meanwhile, the Federation of Colombian Coffee Growers (Fedecafe) has forecast production this year of about 12.5 to 13 million bags, with a strong recovery after replanting program since 2008. However Collection farm incomes due to declining international coffee prices low and also because Colombian Peso exchange rate decline. Vietnam domestic market continues to show price resistance led exporters to increase the purchase price in order to ensure the implementation of short-term contracts should be expected coffee exports in August will be about 1.67 - 2 million bags. Old crop inventory estimates in the hands of farmers and traders in the country is still more than 7 million bags, while the new harvest is about to start as from next October, it will also impact negatively on the international coffee price Robusta futures in London.